If you need cataract surgery, your eye surgeon may have to do double duty as your anesthetist under a new policy by health insurer Anthem. In a clinical guideline released this month, the company says it's not medically necessary to have an anesthesiologist or nurse anesthetist on hand to administer and monitor sedation in most cases. Some ophthalmologists and anesthesiologists say the policy jeopardizes patient safety, and they are calling on Anthem to rescind it. "The presence of anesthesia personnel is one of the key ingredients in the patient safety and effectiveness of cataract surgery today," says Dr. David Glasser, an ophthalmologist in Columbia, Md., who is secretary for federal affairs at the American Academy of Ophthalmology, a professional group for eye physicians and surgeons. "An ophthalmologist cannot administer conscious sedation and monitor the patient and do cataract surgery at the same time." "Anthem's Medical Policy and Technology Assessment Committee, a majority of whom are external physicians, reviewed the available evidence addressing the use of general anesthesia and monitored anesthesia care for cataract surgery. According to the literature reviewed, there is no one definitive approach regarding the use of anesthesia for cataract surgery and patient-specific needs should be taken into consideration as well as potential risk of harm to individuals who are sedated during surgical procedures." Medicare, the health care program for people age 65 and older, covers cataract surgery, including anesthesia services. A cataract, typically related to aging, is caused by clumps of protein that cloud the lens of the eye and can distort vision. 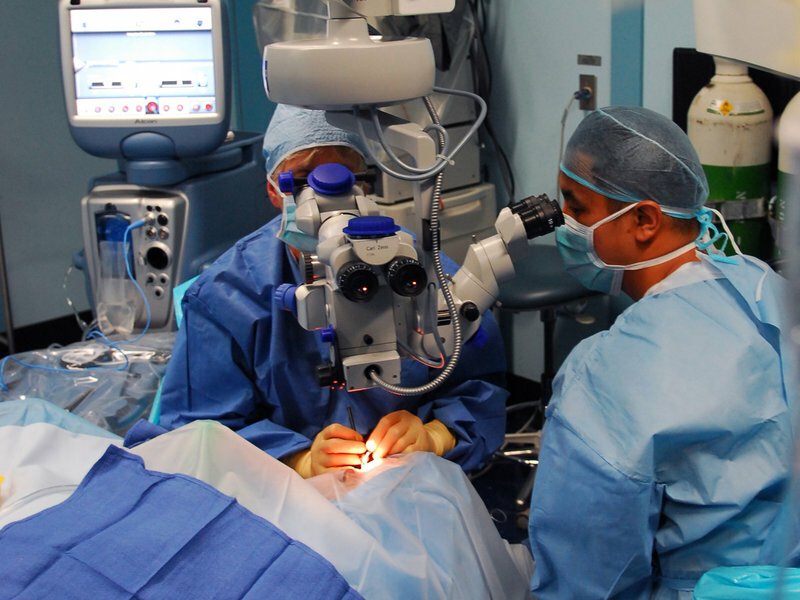 During a cataract operation, the surgeon makes an incision in the surface of the eye with a laser or blade and then uses a tool to break up the clouded lens, pull it out and replace it with an artificial one. Cataract surgery is common. More than half of Americans have either had a cataract or had cataract surgery by the time they reach age 80, according to the National Eye Institute. Surgery is typically performed on an outpatient basis and takes less than an hour. Though drowsy while sedated, patients are generally conscious during the procedure and can hear what's said to them and speak if necessary. Eye surgeons often have an anesthesiologist or a nurse anesthetist present to administer intravenous drugs to help keep the patient relaxed and ensure they don't move during the operation as well as monitor their vital signs and adjust medication as necessary. Anthem's new policy states that this type of monitored anesthesia care is medically necessary only if the patient is under 18 years old, or is unable to cooperate or communicate because of dementia or other medical conditions, can't lie flat, has known problems with anesthesia, or if a complex surgery is anticipated. But some ophthalmologists and anesthesiologists disagree. "I wouldn't even consider doing a cataract surgery without an anesthesiologist or nurse anesthetist in the room," says Dr. David Aizuss, an eye surgeon who is president-elect of the California Medical Association. "If you're working inside the eye it's a very confined space, and if the patient gets agitated and starts moving around you have to get the equipment out of the eye very quickly." Although Anthem posted the new policy online, providers are seeking clarification from the company about the timing of its implementation in their states, physicians said. Until then, some practices are taking no chances. 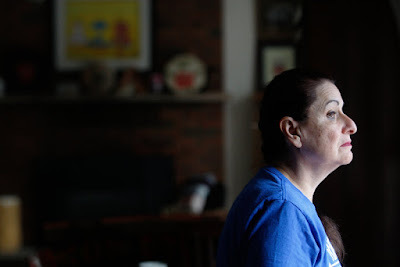 At the Freedom Vision Surgery Center in Encino, Calif., where Aizuss practices, Anthem patients who come in for cataract surgery are asked to pay $400 out-of-pocket upfront for anesthesia services. Professional groups representing California eye physicians and anesthesiologists have written to Anthem requesting the policy be rescinded. In addition, the California Medical Association has lodged complaints with state regulators. This isn't the first time Anthem has come under scrutiny for changes to its clinical guidelines that some have charged help the company's bottom line at patients' expense. Last year, the company said it would no longer pay for emergency department visits it later determined were not emergencies. Then in September it said it would no longer pay for imaging tests like MRIs in many cases if patients got them at hospital-owned centers rather than independent imaging centers. Last week, Modern Healthcare reported that the company says it was modifying its ER rule so that certain types of visits would always be paid for, including those by patients who are directed to the emergency department by their provider or have recently had surgery. Some safety experts say they were concerned about Anthem's new policy, even for routine cataract surgeries. "If you're putting a knife in my eye, that's not routine for me," says Leah Binder, president and CEO of the Leapfrog Group, a nonprofit organization that advocates for improved safety and quality at hospitals. Noting that anesthesiologists and nurse anesthetists were pioneers in the patient safety movement, she says there are better ways for Anthem to save money than shutting them out of the operating room. "How about identifying the surgeons who have the highest complication rates, and letting patients know about them?" she suggested. The life expectancy of Native Americans in some states is 20 years shorter than the national average. Among them, health programs for American Indians are chronically underfunded by Congress. And, about a quarter of Native Americans reported experiencing discrimination when going to a doctor or health clinic, according to findings of a poll by NPR, the Robert Wood Johnson Foundation and Harvard T.H. Chan School of Public Health. 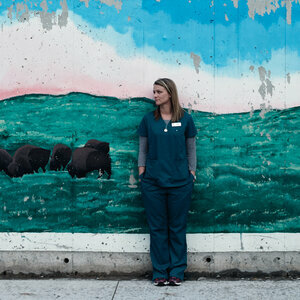 Margaret Moss, a member of the Hidatsa tribe, has worked as a nurse for the Indian Health Service and in other systems. She now teaches nursing at the University of Buffalo. She says she has seen racism toward Native Americans in health care facilities where she's worked, and as a mom trying to get proper care for her son. Once, when she was on a health policy fellowship with a U.S. Senate committee, Moss' son had a broken arm improperly set at a non-IHS health facility in Washington, D.C.
She asked the physician about options to correct it, but he told her it was fine, she said. "Even when I, as an educated person using the right words, was saying what needed to happen, [he] didn't want to do anything for us, even though we had a [health insurance] card." Moss then reluctantly pulled out a business card with the Senate logo, she recalled, and was instantly transformed in the doctor's eyes from "this American Indian woman with my obviously minority son" to someone he could not afford to dismiss. "It wasn't until the person ... felt they could get in trouble for this ... then the person did something," said Moss. "I felt like it was racism. Not everybody has a card they can just whip out." She says she feels discrimination is more overt, "in areas where American Indians are known about," like the Dakotas and parts of the American Southwest, but also exists in places without big tribal populations. In the NPR poll, Native Americans who live in areas where they are in the majority reported experiencing prejudice at rates far higher than in areas where they constituted a minority. In places where there are few American Indians, Moss says, "people don't expect to see American Indians; they think they are from days gone by, and so you are misidentified. And that's another form of discrimination." Health care systems outside the Indian Health Service generally see very few Native American patients, because it's so hard for American Indians to access care in the private sector. A lot of that has to do with high poverty and uninsured rates among American Indians, who also often live in rural areas with few health care providers. "The strikes against people trying to get care are huge: geographic, transportation, monetary," Moss says. A persistent myth inside and outside Indian Country is that Native Americans get free health care from the federal government. Anna Whiting Sorrell, a health care administrator for her tribes, says she is optimistic that the Affordable Care Act will make a big difference for Native Americans. It gives lower-income people access to affordable insurance coverage outside the IHS. Many Natives Americans who weren't eligible for Medicaid before the ACA now are, too. Moss is more skeptical that the ACA will make a big difference, in part because of entrenched institutional discrimination toward Native Americans in healthcare. "Until attitudes change," Moss says, "we're still going to be in a sad situation." Rapid changes in Health, (digital health) in the U.S. are mirrored around the globe. 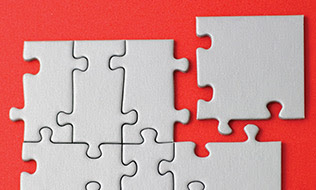 Canada is making a uniform change and analysis of additions to their health system and adjusting benefits accordingly, using the hard test of time prior to funding. Health coaching and navigation:Unfortunately, most Canadians don’t get enough time with public health professionals either to stay healthy or get help, when they fall sick, in navigating the system efficiently. As a result, wellness, coaching and navigation alternatives are growing fast, often using technology to personalize and automate the services and thus drive down the cost and improve employee health at the same time. Cardiogram, an Apple Watch app developer, ran the study (PDF) on 14,011 of its users in conjunction with researchers at UCSF.The data is displayed in the article for several states of heart activity After using data on some of the participants to train a deep neural network, called DeepHeart, the team tested the algorithm on results from the remaining cohort of subjects. The best version of the algorithm recorded a c-statistic of 0.85 in diabetes, making it a strong model. It was not stated whether the . Apple Watch is HIPAA compliant. HIPAA compliance is a federal regulation which requires all personal identifiying information to be scrubbed from data sources. The article did not expand on this issue. If Apple files for approval of the app, it will mark a major advance in its long-running flirtation with the healthcare sector. 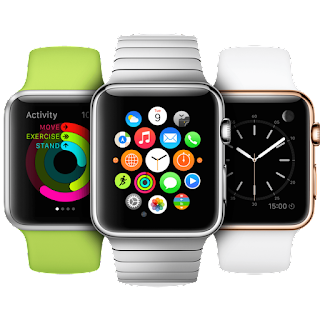 The tech giant stepped up its interest in the space with the introduction of Watch in 2015 and rollout of its ResearchKit framework. 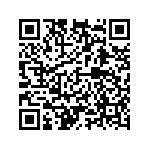 Talks with the FDA and involvement in its software precertification pilot program followed. But Apple has yet to seek FDA clearance of a device. AliveCor has gained clearance to sell a medical device accessory for Apple Watch. 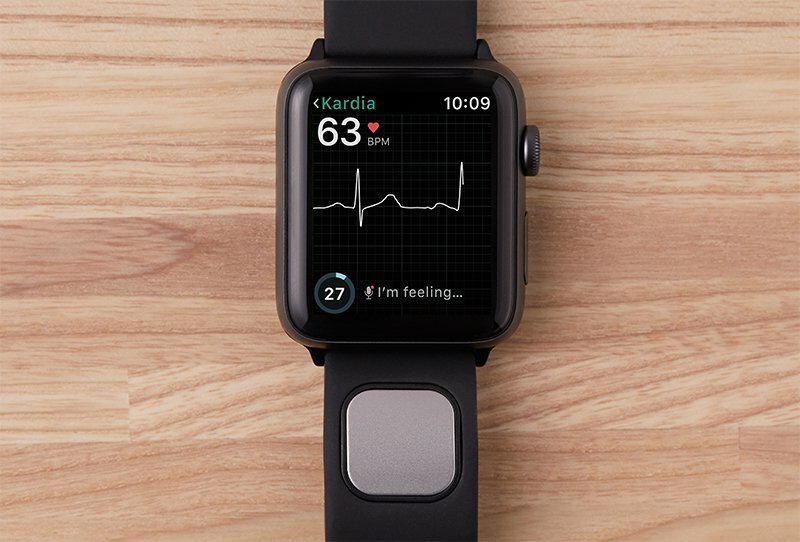 The regulatory nod covers AliveCor’s KardiaBand, a device that clips onto Apple’s smartwatch and performs EKG readings. Users of the $199 AliveCor device and accompanying $99-a-year service replace the wristband on their Apple Watch with KardiaBand. Machine learning algorithms, dubbed SmartRhythm, then sift through data gathered by Apple Watch’s sensors to establish a normal band of heart rate activity. If the wearer’s heart rate deviates from these historic norms, the app directs the user to take an EKG. This is where the band itself comes in. The user places a finger on a sensor built into the strap. The band then performs an EKG, also known as an electrocardiogram, to assess whether the electrical impulses that modulate cardiac contractions are firing properly. The resulting 30-second waveform is shown on the Apple Watch screen, after which the user can share it with their doctor as a PDF. Aspects of the technology are the same as the credit card-sized device, KardiaMobile, AliveCor already sells for use with smartphones. But the incorporation of the Apple Watch sensors and data into the process stands to change when and why users decide to take an EKG reading. The big question now is whether this more objective approach to assessing when an EKG is needed will translate into improved outcomes for patients. AliveCor has clinical trial data showing its smartphone-based EKG outperformed routine care. In theory, the Apple Watch-based approach should improve on that product, for the reasons outlined by Topol, but that hypothesis is yet to be tested in the wild. For the broader digital health sector, the important thing is AliveCor has gained clearance to start finding out how its device performs in the real world at all. AliveCor hustled through the regulatory process far faster in Europe than in the U.S. When AliveCor unveiled the device in March 2016, it talked up the prospect of “late spring” availability. That target came and went as AliveCor grappled with the FDA review process. Vic Gundotra, the ex-Googler who runs AliveCor, told TechCrunch getting the device to market was “one of the hardest things I’ve ever done in my life.” Under the leadership of Scott Gottlieb, M.D., the FDA may provide an easier route to market for companies that try to follow in AliveCor’s wake. 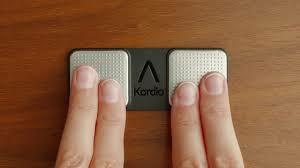 But having put in the hard yards, AliveCor has the field to itself for now. The FDA process is lengthy and costly for device manufacturers, a barrier for smaller manufacturers. Hopefully this will encourage other ground breaking consumer medical devices to proceed. The FDA has approved (PDF) Empatica’s seizure-detecting wearable for use by epilepsy patients. Empatica picked up the 510(k) clearance for Embrace after the device detected every seizure in a 135-patient clinical trial. Embrace looks like other smartwatches and activity trackers and shares some of their features. 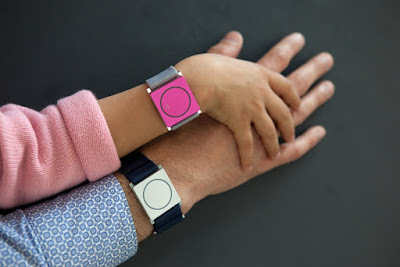 The key difference is Embrace pairs its gyroscope, accelerometer and thermometer with an electrodermal activity (EDA) sensor and an algorithm that analyzes the data stream for signs the wearer is suffering a seizure. EDA indicates whether a person is in “fight or flight” mode. The result is a device and accompanying algorithm that detected every seizure in a 135-patient trial. Empatica demonstrated the accuracy of Embrace by comparing its readout with the opinions of two to three epilepsy experts who had access to video-EEG data but not the results from the wearable. That trial took place in an epilepsy monitoring unit but Empatica has also generated data showing the device detects most seizures when worn by patients in real-world settings. Embrace detected different types of seizures across the trials, including generalized tonic-clonic seizures. Such seizures cause loss of consciousness and can leave patients confused. This results in the underreporting of the seizures in patient diaries. Embrace’s ability to more accurately detect these events could make it a useful tool for sponsors of epilepsy clinical trials. The ability of the device to send alerts to caregivers also makes it potentially helpful in the real world. But there is also a risk the device will cause more stress than it alleviates if it triggers false alarms. Empatica has worked to cut the rate of false positives but they still happen. In the 135-person trial, patients experienced one false alarm every two days on average. The rates seen in other studies have been both a little higher and a little lower. Empatica is betting that is a manageable downside given the potential upsides of the device. “Tragically, more than 3,000 Americans die each year from sudden unexpected death in epilepsy and the Embrace offers the potential to alarm family members and caretakers that a tonic-clonic seizure is occurring. The scientific evidence strongly supports that prompt attention during or shortly after these convulsive seizures can be life-saving in many cases,” Orrin Devinsky, M.D., director of the Comprehensive Epilepsy Center at NYU, said in a statement. MIT Media Lab spin-off Empatica is charging $249 for the device and between $9.90 and $44.90 a month for subscriptions that connect to caregivers and provide other features. Is your physician biased ? “Are you a left-sider or a right-sider?” my classmate asked with a puzzled look during an end-of-the-year dinner among first-year medical students. I was confused. He repeated himself then answered. “Do you sit on the left or the right side in class … that’s right; you sit on the right.” He then mentioned that everyone present was a “right-sider.” Nearly everyone was white. For the past 18 months, we sat in a racially arranged way in class: most white people were concentrated on the front to the middle right of the auditorium, black women sat the furthest back, and everybody else sat on the left side with few exceptions. This arrangement translated to the lunch tables and other social settings. We may, at first, think of this divide as different parties sharing equal responsibility, but we live in a society where minorities still have negative experiences in today’s integrated schools. These experiences are linked to a history of structural racism: negative media portrayal, policies perpetuating segregation and impeding upward mobility for racial and ethnic minorities. They experience isolation in different ways, and one of the common coping mechanisms is in-group separation out of self-preservation. Beverly Tatum expounds on this in her book Why Are All The Black Kids Sitting Together at the Cafeteria Table? She describes different groups’ experiences with race and explains the burden on minorities, especially blacks and Latinos. Self-segregation happens out of self-preservation from macro and micro-aggressions; they need support and cultural understanding from their peers, but also feel less valued and invisible among their white counterparts. This is exacerbated by the landscape in our institutions. The portraits that adorn the walls of our study spaces are almost entirely of white male physicians. I believe the unintended racial segregation happening in lecture halls and social circles may have a long-term negative impact on interactions with our colleagues and patients from different backgrounds, and we should use the resources and structures in place to address this earlier in the medical training. Research shows that medical students and physicians have similar results on implicit-association tests when it comes to anti-black bias. Practicing physicians are, however, are more likely to act negatively on their biases in clinical encounters. It has been shownthat medical school experiences are associated with change in student implicit racial attitudes. Throughout medical school, we are primed by negative comments and portrayal of minority patients through clinical vignettes and in-hospital experiences. Evidence shows the negative impact of implicit bias particularly on black and Latino patients. Both groups are underrepresented among physicians, while Asian and white doctors are well represented. Studies show that the most effective way to counter one’s biases is to develop positive relationships with members of the “out-group” in question. The medical field’s attempts to mitigate the effects of implicit bias have so far intuitively focused more on the clinical years. This is manifested via education for trainees and attending physicians, including diversity training, and more informal ways such as book clubs. We pay less attention to the preclinical years. For preclinical students like myself, structures to contribute to addressing implicit bias already exist. Targeting ways in which students interact with peers is an option. Several national organizations are calling for the emphasis of teamwork in medical school, and those changes are implemented in our introduction to the clinical world, including the more recent emphasis put on interprofessionalism. The intentionality driving interprofessional experiences where medical students work with allied-health peers can be mirrored in ensuring that group experiences for preclinical students reflect the diversity of their environment. Staff mention that gender balance is important when creating groups for longitudinal experiences. What if, paired with the emphasis on the importance of teamwork and diversity, groups were intentionally made to be diverse beyond gender? Further de-randomizing groups could afford more predictable opportunities for students to interact with peers from different backgrounds in settings that may contribute to creating great relationships. As many medical schools thoughtfully shift towards flipped classroom and team-based learning models, students have more opportunities for interactions across professions, levels of training and social groups. Some may argue in favor of group homogeneity. This is, however, a mechanism already in place through extracurricular social networks and affinity groups, often institutionally supported. Changes to the landscape could have a positive effect on what students value. Given that the portraits adorning the walls of our schools recognize mostly white men, we should restructure the ways in which space is allocated for portraiture. For example, allocating space recognizing students, recent alumni and faculty for their academic prowess could contribute to a landscape more reflective of its dwellers. While social scientists refer to the concept of landscape fairness as aiming to remove forms of discrimination in a built-in environment, I aim to emphasize the importance of recency in the landscape, related to not only fair representation but also temporal proximity for students with respect to those who are celebrated through portraiture. Such recency is likely more inspiring because of commonalities afforded by aforementioned proximity. For example, as a freshman at Howard University, I was inspired by portraits of seniors and recent alumni who were Fulbright fellows and Rhodes scholars because I saw myself in them. As we aim to mitigate the impact of implicit bias on clinical care, we must remember that bias is not isolated to clinical settings and has effects on interpersonal relationships within the profession. We must also note that negative implicit attitudes towards racial and ethnic minorities in our society are a part of the larger issue that is structural racism. Addressing implicit bias must be done well before the clinical years through a longitudinal approach, but it must also be part of larger synergistic efforts aiming to combat structural racism and the ways in which it affects health. The author would like to thank Douglas Shenson, MD and Benjamin Oldfield, MD for their guidance in the conceptualization of this article. Max Jordan Nguemeni Tiako is a medical student. Author's addendum: A young Nigerian student who moved to the United States had this to say, " I did not know I was black until I moved to the United States."